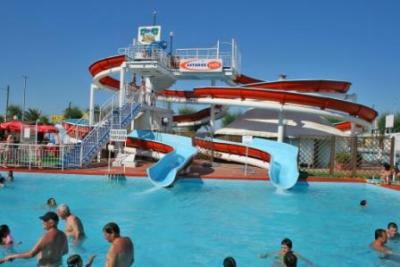 Do you want to come on Holiday to the beachpark of Beach Village? 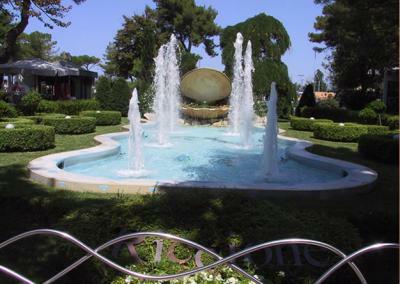 With our service "Get The Best Offer" with a single click you can contact dozens of tourist facilities (hotel, B & Bs, Hostels, resorts, residences, agritourisms) in the area of Beach Village in Riccione. 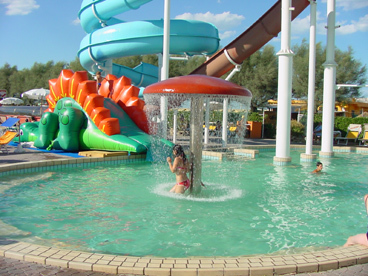 Definitely fun for the whole family, bathed in sunshine of Riccione... is the perfect expression to describe beach village in Riccione. 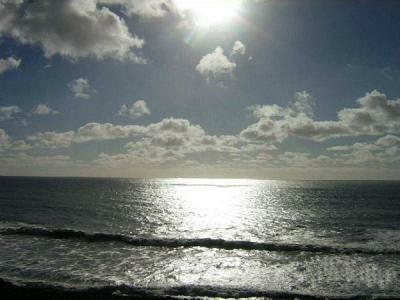 In area 134, there arises, in collaboration with the zones 135 and 136, Beach Village. 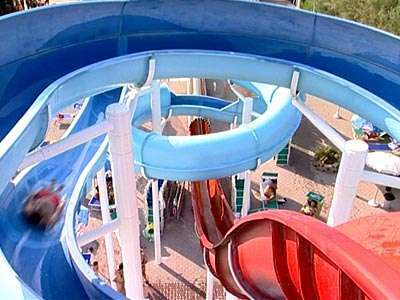 The only water park directly linked to the beach, is equipped with so much entertainment and services that if you are afraid there is somethin that you might miss ... well, do not worry, because the staff at Beach Village thinks of everything. Comforts of all kinds, from morning to evening, are available to the customer to orient in the wide range of possibilities and offers. 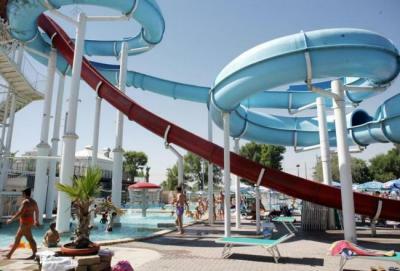 The four water slides are definitely the main attraction: Family Slide Swimmingpool, 10 m high, has 2 outputs slow path, while The Kamikaze- Slide, 12 m high, has 2 exit paths, one slow and one fast, to the delight of the brave and the little less brave. 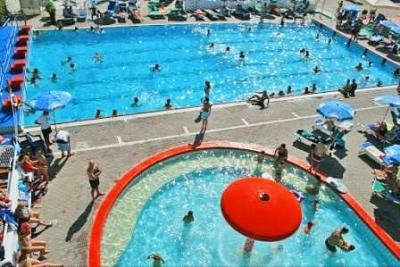 Two pools ("children" and "Olympic") welcome all swimmers, there is also the option of the pool to saltwater. 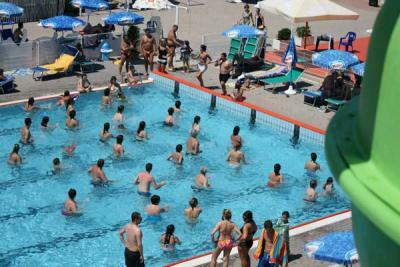 Lessons are organized in water aerobics, swimming, sailing, windsurfing, catamaran. The animation team involves the client in group dances and offers aerobics classes and funky. The staff is also available to children with the service club. Two points are legendary restaurants: Bikini Bar and Cafe del Mare. And at night the fun continues, with delicious dinners and dancing, Latinamerican and reggae to 'Opera chez Café del mare "or" Paradise Beach Cafe Restaurant " in a more wordly lounge setting. For birthdays, graduations and other special occations there is the possibility to organize parties and gettogethers that are really unforgettable. 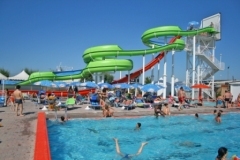 For those looking for relaxation and recreation throughout the summer there is a card to make: that of the Beach Village Riccione, the best equipped beach on the Riviera. 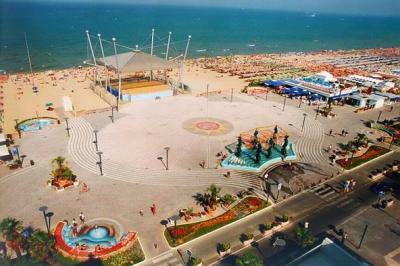 Book your family holiday in Riccione! 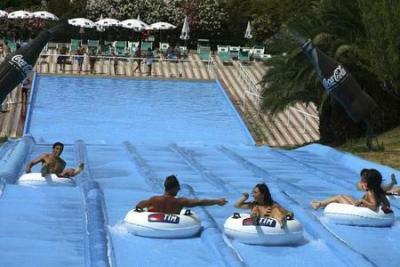 A Holiday here really is a must for everyone who wants to combine relaxation and amusement. 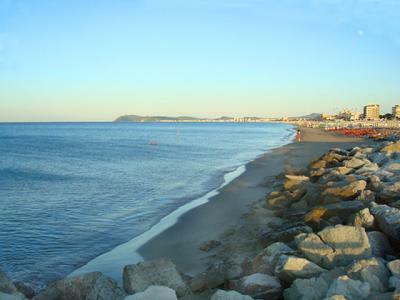 Riccione is one of the most appreciated seaside resorts of the Riviera Romagnola, since it is characterized by a fascinating mixture of successful elements. Here in Riccione Tourists need no automobile here since Riccione provides a comfortable system of 24hour buses connections and a complete system of local public transportation. 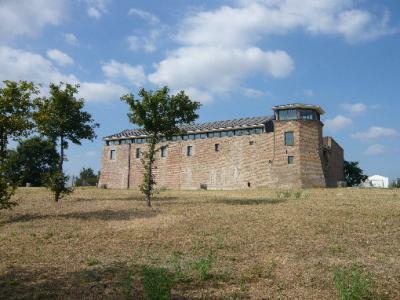 Four nearby international airports connect with the most important cities in Italy and in Europe, an easily accessible railway station near the town center, and an easy access to the Motorway A14 connecting Riccione with the North and South of Italy. 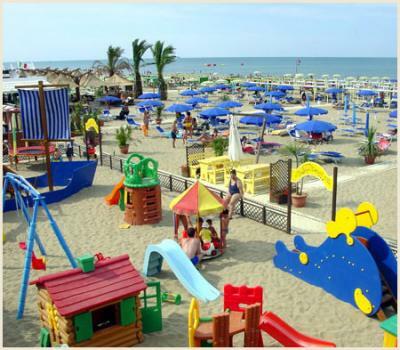 The Combinatione of alluring sea, compelling beaches, lively fun opportunities and strategic position just in the heart of the Adriatic Coast makes this small seaside resort a privileged holiday destination. 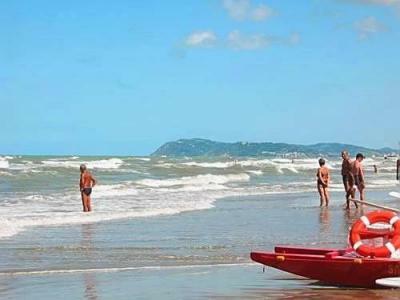 Riccione's Beach is divided into 140 bathing establishments which follow one another along the sandy coastline; provided with colourful beach umbrellas and mattresses, they welcome thousands of tourists who flock here to enjoy utmost fun and relax. Over the last few years, these bathing establishments, known as “Bagni”, have turned into real beauty centres offering both relax and fun opportunities. The renowned fish restaurants situated along the sea front, as well as the intimate trattorias situated in the city centre, offer visitors the possibility to taste local delicacies and fine wines, thus enjoying Riccione's inestimable food and wine tradition. The local theme parks, which are all situated a short distance from the city centre, are some of the most beautiful and innovative funfairs in Italy. 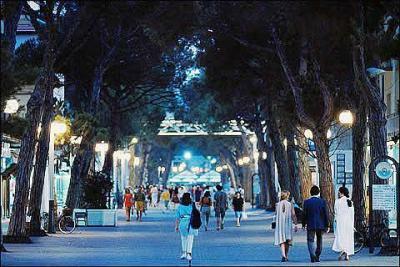 The beautiful Viale Ceccarini that is the mainstreet of Riccione, which connects the old town with the sea front, is Riccione's main promenade and welcomes thousands of visitors every day. The windows of its trendy shops and glamorous boutiques follow one another along the beautiful tree-lined avenue and mirror the elegance of a city which devoted itself to style and high-quality services while remaining easily accessible. Swimming pools, Jacuzzis, outdoor gyms, proper spaces to perform beach sports, such as beach volley, beach tennis and beach basket, nautical clubs, sailing courses, windsurfing, canoeing, water-skiing and diving facilities, entertainment and fitness centres give tourists the opportunity to enjoy total fun and wellbeing in one of the most glamorous seaside resorts of the Riviera Romagnola.